Along with reading our own survival blog, there is a wealth of great information on the internet about prepping and surviving disaster situations. This article will take a brief look at our five highest rated preppers websites listed below in no particular order. This site is a combination forum, blog, store, and informational site for preppers. It contains numerous articles about the ins and outs of prepping on a variety of topics. Another distinguishing factor of American Preppers Network is its community. On the sites forums new preppers can ask questions and receive answers from more experienced preppers. You can also use the site to link up with other preppers in your area. Finally the site even offers 21 free of charge e-books for those seeking more information on prepping. Overall the site is a top choice for those interested in prepping and is a great way to network with other like-minded preppers. This is a serious preppers website focused on the survival during extreme disasters. It features articles that are arranged by category in a convenient drop down menu for easy access. On the site you can find advanced information on topics ranging from food preparation to survival skills to self-defense. The articles on the site are very well written and can be a valuable information source to both new preppers and experienced veteran preppers. The comments sections on articles are also very active, making it easy to interact with other preppers and contribute to the community. On the whole, Off Grid Survival is a great website featuring easy to access information on the most important prepper topics. 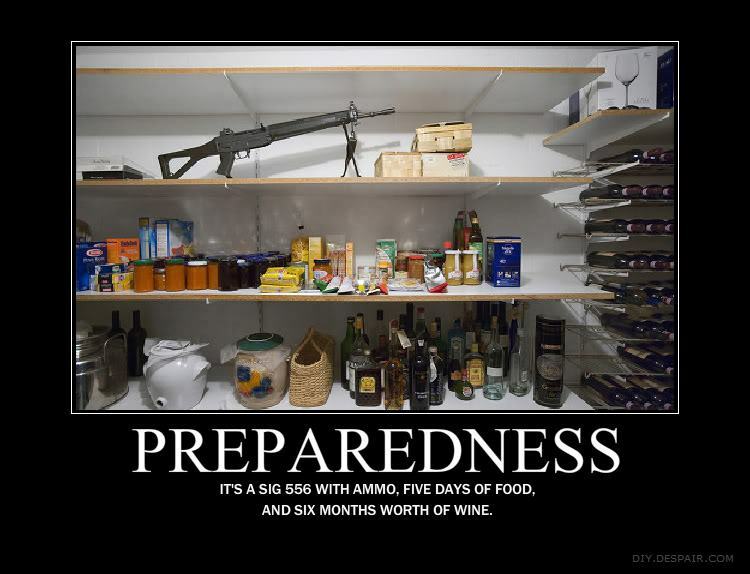 This is one of the oldest and most active preppers websites on the internet. Its layout can be a little intimidating for a first time user, but the wealth of content on the site is unmatched. The site is a blog that takes entries from other preppers across the country and only posts the best submissions as featured articles. There are posts on the site concerning disaster survival, self-sufficiency, survival logistics, survival tools, networking with other preppers, firearms and many other important prepper topics. New content is posted on the site daily making it a great regular visit for those that are constantly seeking new information and advice. Survival Blog is definitely a must-visit preppers website for any interested in disaster survival. Another blog site that is very active and constantly providing new content. The site has an aesthetically pleasing layout and is easy to use. The heading on the top of the main page make it easy for users to access important information about the basics of prepping; things like gear/equipment recommendations, tips from other veteran preppers, prepper checklists, books to read about prepping, and firearm resources. The blog has over 13,000 subscribers and regularly receives dozens of comments on its posts. The Survivalist Blog is a great daily visit for those looking for a constantly updated preppers website. Modern Survival Online is an excellent resource for preppers of all kinds. It is unique in that it has a direct link to an amazon store where preppers can purchase the best gear. It also offers a huge database on every prepping topic one could think of. You can download or view content covering weapons, food storage, general survival skills, gardening, evacuation, emergency medicine, and many other topics. The site is easy to navigate and is actively maintained making it a great up to date resource. It also contains a great list of blogs for those looking for new preppers websites to visit and read. On the whole the site is a tremendous resource and great way to discover new prepping information.